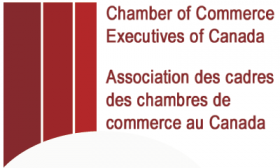 CCEC membership is open to everyone employed (full or part-time) in an executive or administrative capacity by a Chamber of Commerce or Board of Trade. CCEC currently has almost 300 professional staff from 150 member chambers of commerce participating in the organization. CEOs, as well as professional staff in communications, government relations, membership, sales and more, join CCEC to gain a competitive edge in creating a leading community organization. Our organization welcomes Chambers of all sizes - we have executives that manage Chambers with 130 to 9,000+ members, serving communities with populations ranging from 8,000 to 2 million.